This cover is still new in box ( unopened ). 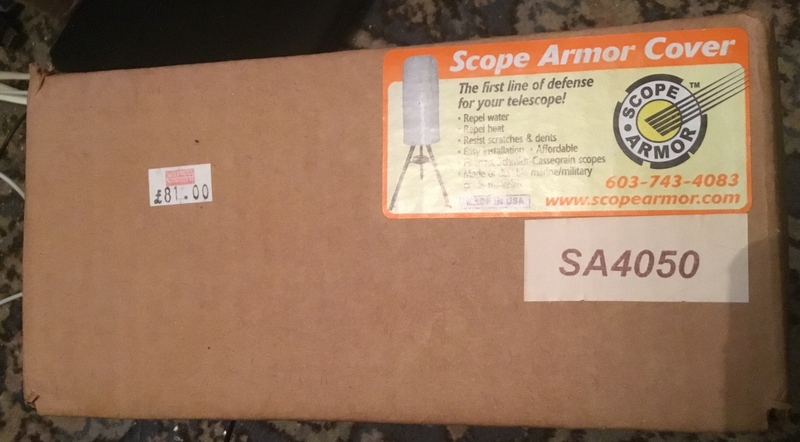 Suitable for any 40”-50” length telescopes. Simply place over your scope still on tripod mount. Made in the USA to military grade materials, resists moisture and scratches. UV resistant. White colour aids seeing it in the dark. original price was £81.00, yours for £40 inclusive of postage, UK only. Payment by PayPal, or cash on collection. What is the width of the cover ? Could I use it to cover my NEQ6 mount with weight shaft attached ? I could be interested in this if so. it states in the specifications that it is intended to fit equatorial mounts with internal dimensions of 40/50” x 29”, also would easily accommodate SCTs too. 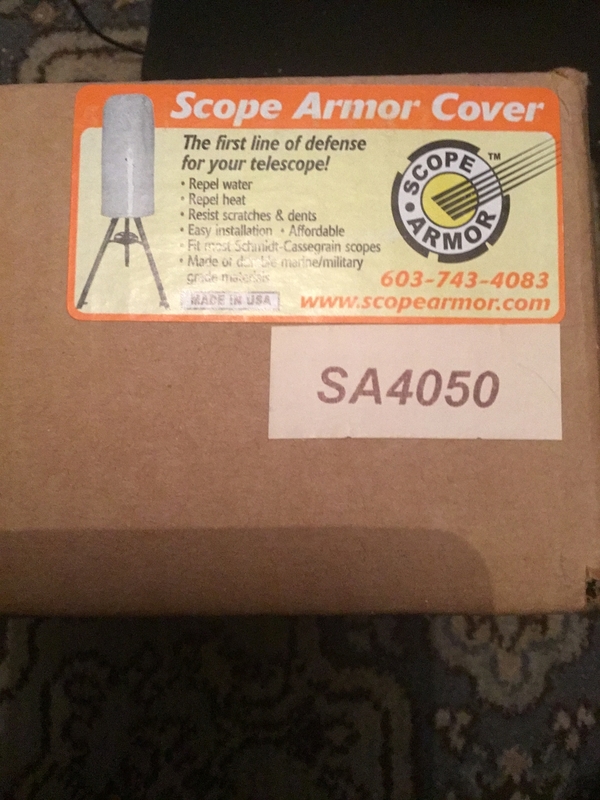 If you would like to google the scope armor cover, it will pop up a picture of the cover, then visit the site, it will give some ideas as to what scopes it can cover and might give you a better idea if it will fit yours. Is this still available? Can't find this on the web (looks like they no longer exist) so I'm wondering how it fits on the tube when it's on a mount?